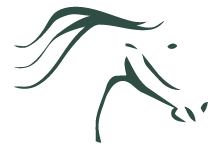 South West Florida Horse Rescue – Established in 2010, SWFHR is dedicated to saving & committed to improving the lives of southwest Florida’s local equines. through our Panhandle Relief Project Today! A safe medical recovery area for rescued equines. They can use your help! A Voice For The Voiceless. You can help make a difference. Learn more by clicking How to Help or get started with a direct donation. Operate Via A Host Of Programs. Rescue, Rehabilitate, & Re-Home Equines through Action, Education, & Advocacy. A Family Of Cause Connected Souls. Young or older, experienced or not we can all make a difference. We are open every day of the week for volunteers and staff. But we’ve allotted Wed, Sat, and Sun to showcase what we are about to the public. For security reasons, we have a controlled entry gate system. Follow the instructions posted when arriving. South West Florida Horse Rescue, Inc. (SWFHR) is a Florida not for profit corporation and public charity created pursuant to Internal Revenue Code section 509(a) and has 501(c)(3) status. Donations to SWFHR are deductible. Donors should consult their tax advisors for questions regarding deductibility. The EIN 46-2031584 is SWFHR’s tax identification number. Copies of the SWFHR tax and or charitable documentation is available upon request. Stay tuned for next months auction. Physically donated items are not counted in this graph. A word about PRP monetary donations! Aside from calling and leaving a phone-in donation at either of the (3) drop points (Futral’s Feed Store, Sweet Cypress Ranch (SCR), & C&C Feed Store under the name PRP, SWFHR Panhandle Relief Project, SWFHR, South West Florida Horse Rescue). All other monetary donations directly to SWFHR identified for this relief project will be processed via Check, Cash (sent or brought to our mailing address), or through PayPal. For checks mailed we request that the postmark date deadline be Oct. 29th as this allows us time to process your check intended for this project. Checks received after the 29th may not be able to be used in the time before the convoy leaves. For PayPal processing: If you have an account (to avoid fees) send funds directly to our PayPal account info@swfhr.org as friends & family. If you click the Donate Funds button these transactions will incur a 2.2% fee required by PayPal. Support SWFHR when you shop, dine, or other places. We are always looking for Volunteers to help with general labor, basic horse care, local events, fundraisers, etc. Would you would like to volunteer your time to a rewarding cause or even to earn community service hours? Committing to continued donations on a schedule is a dramatic way to make a difference. Your sponsorship to an equine or the organization, gives a sigh of relief from constricting financial burdens of day to day expenditures. Making a pledge to sponsor is an easy process. Adoption is in many way the end and the beginning for rescued equines. The end of waiting for a permanent family environment. The beginning of forever. Our adoption program has rigid expectations of potential adopters for obvious reasons. Donations no matter what form is the main reason we can continue to operate. Weather you have items, services, money, or time to donate… All are received with a great deal of gratitude. Proving value in the programs of our operation through awards & recognition. Even featured elements on print media. Nothing better than first-hand accounts of what SWFHR does. Reviews are very important for us as it helps us better ourselves as a leading community partner. We love to see our reviews and ask that if you’ve ever interacted with us, to not be shy and share it with us. Some of the typical review sites such as… Google & Great NonProfits. View more sponsors or become a sponsor.